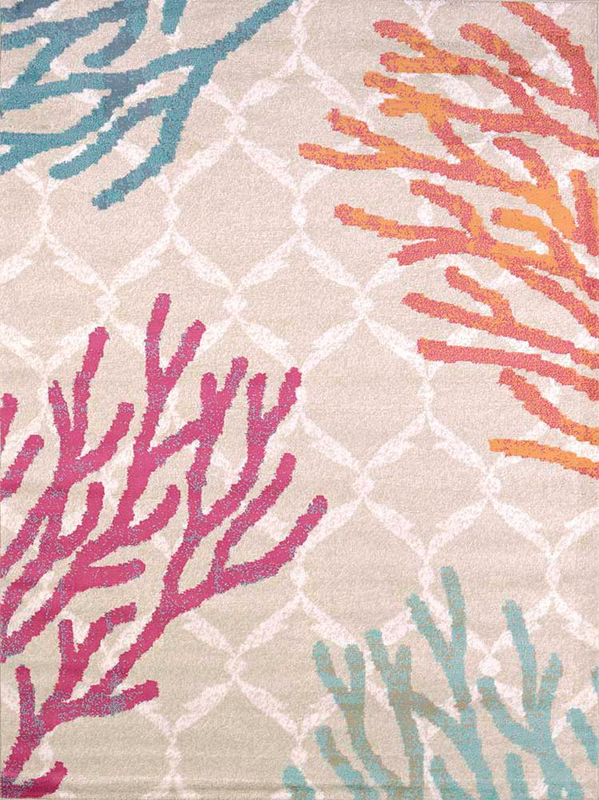 Bring coastal style to your living room with the Coral Tiles 3 x 4 Rug. This petite accent rug has bright multicolor coral on a tan and cream tile background. Vaccuum regularly. Spot clean with mild soap solution. Do not oversaturate. Dry backing thoroughly.